Block-glass windows can be an excellent solution for exterior windows in high-traffic areas, allowing for both light and privacy. Even if your bathroom looks directly into a neighbor's yard or onto the street, you'll be able to enjoy the benefits of a window instead of lurking in the dark. And with block-glass you have the ability to get rid of dusty blinds and embrace the clean, streamlined look of patterned glass with no distractions. Traditionally used in more modern architectural settings, block-glass windows can be used an accent for kitchens and baths in many different styles. 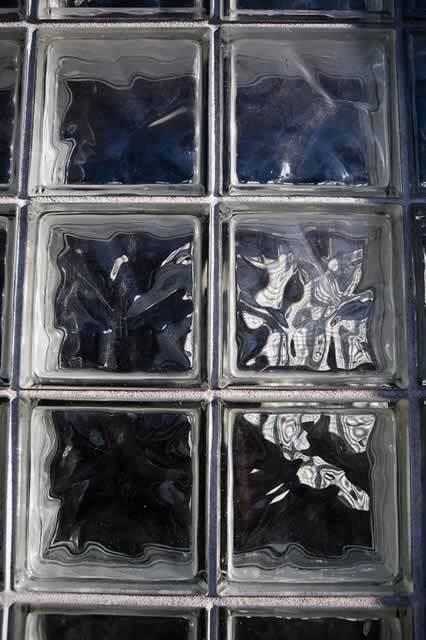 Your block-glass windows design won't have to be limited to a traditional rectangular; blocks are available in many different sizes and shapes to satisfy all kinds of creative possibilities.